In 2014, Salesforce launched Community Cloud, propelling itself into the fast-growing enterprise collaboration market. Last year, it launched Wave Analytics. Now, the company is introducing Wave for Community Cloud, which gives businesses analytics tools that can be applied across their partner ecosystems. 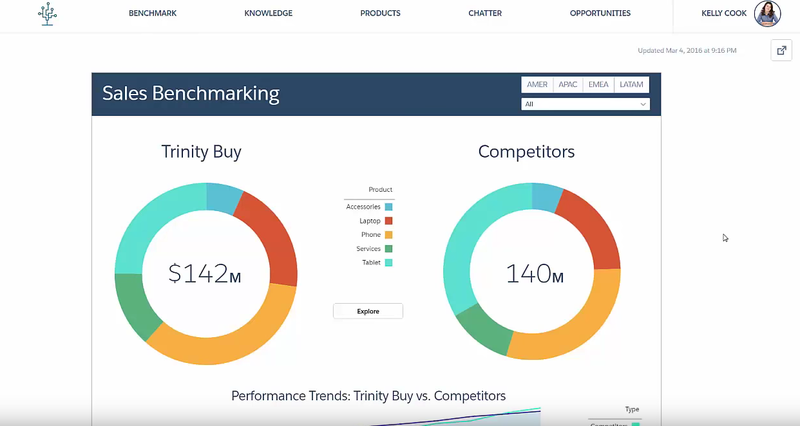 According to the company, the offering will help channel partners better understand their own business by way of interactive performance summaries and historical trends. Dashboards can utilize data from any source, and security permissions can be personalized for visibility on a partner-by-partner basis. Jencarlos Canela Appreciated Modern Spin In "The Passion"